Henry Holt and Co. (BYR), 9780805098440, 240pp. 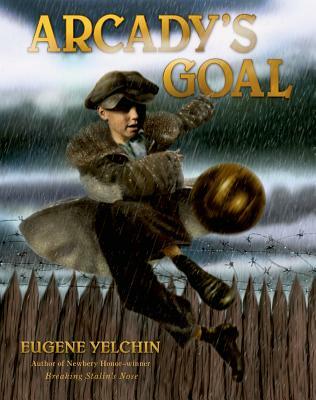 From Newbery Honor–winning author Eugene Yelchin comes another glimpse into Soviet Russia. For twelve-year-old Arcady, soccer is more than just a game. Sent to live in a children's home after his parents are declared enemies of the state, it is a means of survival, securing extra rations, respect, and protection. Ultimately, it proves to be his chance to leave. But in Soviet Russia, second chances are few and far between. Will Arcady seize his opportunity and achieve his goal? Or will he miss his shot?